Home Healthy Moms	Will Pregnancy Predict Your Future Health? Pregnancy is a window into your future health, say experts at the Society for Maternal-Fetal Medicine. Pregnancy complications including high blood pressure, preterm birth, stillbirth, and fetal growth restriction are directly related to and are an early predictor of your long-term cardiovascular health risks, as well as risks for metabolic disorders, including insulin resistance and type 2 diabetes.George R. Saade, MD, president of the Society for Maternal-Fetal Medicine, said: “Pregnancy represents a unique opportunity to identify women who may be at increased risk of chronic diseases later in life. 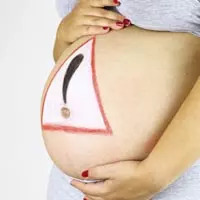 For patients with pregnancy complications, the care should not stop at delivery.”While not all women with these pregnancy complications will go on to develop longer-term problems, experts advise following up with your healthcare provider post-partum if you’ve experienced any of these health issues in pregnancy. Make healthy changes now to protect your cardiac and metabolic health, and be proactive about ongoing checks for possible emerging health risks.